Sean Payton compares coaching to teaching. Great ball coaches, he believes, are inherently great communicators and instructors. And during game week, the New Orleans Saints head coach employs a professorial demeanor at practice and during meetings. He rarely raises his voice and spends much of his time calmly instructing players on individual techniques and responsibilities. Professor Payton becomes Sunday Sean, a gum-chomping, sideline-pacing, hell-raising, football-coaching firebrand. 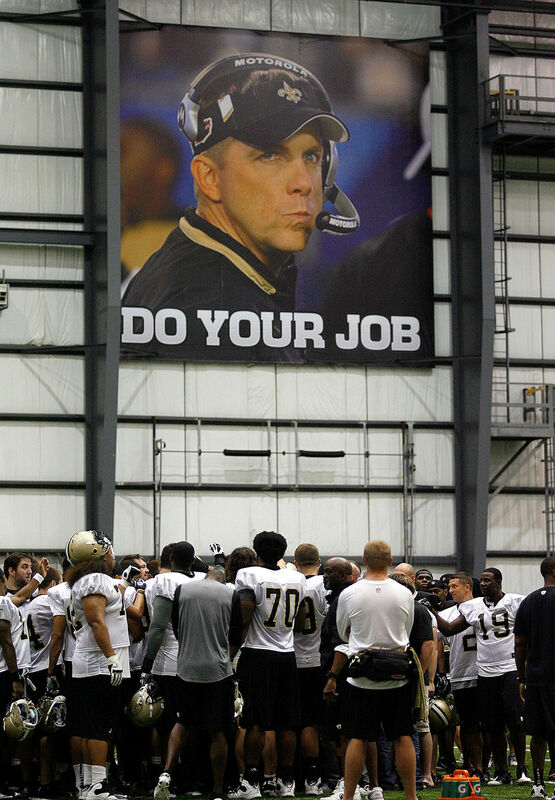 Payton's trademark game-day intensity has set the tone for the Saints since 2006. And as he prepares to kick off Year 13 of his coaching tenure in New Orleans with the regular-season opener against Tampa Bay on Sunday (Sept. 9), his animated sideline antics have become infamous around the league and legendary among his own players and coaches. "Sean's definitely a different guy on Sundays," defensive tackle Sheldon Rankins said. "On Sunday, he's got his Juicy Fruit, and he's locked in." During an interview this week, Payton laughed sheepishly when told his players refer to his game-day alter-ego as "Sunday Sean" or "Game-day Sean." In fact, his sideline demeanor is so notorious it has become part of the informal orientation that veteran players give to newcomers and rookies when they join the club. "It's just who I am on game day," Payton said unapologetically. "It's what's natural and comfortable for me." 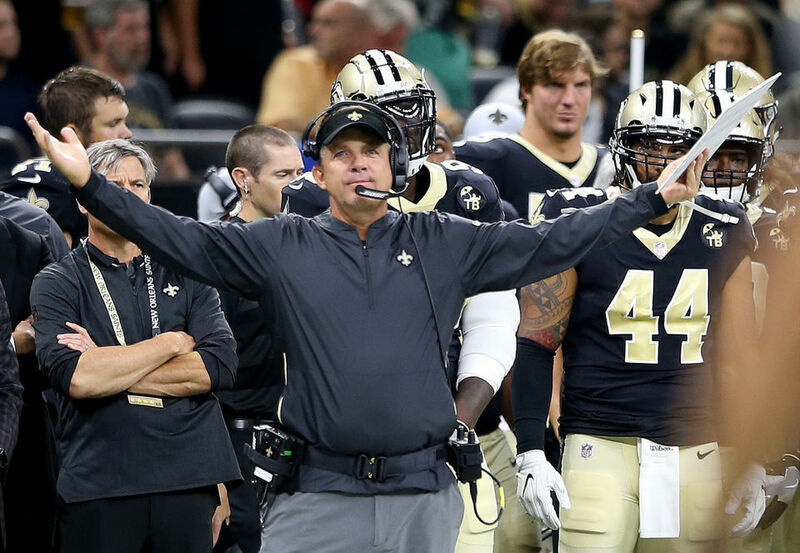 Over the years, TV cameras have caught Payton giving an earful to various Saints players and assistant coaches, most notably running back Mark Ingram and former defensive coordinator Rob Ryan. Payton's sideline attacks are non-discriminatory. Errors of omission and errors of commission are equally egregious in his mind. Drop a ball. Jump offsides. Fail to account for the opponent's best player in pass protection. Whatever. A failure to execute mentally or physically is going to earn a sideline rebuke from Sunday Sean. "If things don't go right on the field, you're going to hear about it, you're going to feel his eyeballs piercing through you," veteran offensive lineman Jermon Bushrod said this week before his release Saturday. "You can feel him coming after you."